Educational Block Toy Games School Bus M38-B0333 Popular Educational Block Toy Substitute By Sluban is brought to quality block toys buyers in India. Sluban India is known for its premium quality building block toys meant to entertain and educate kids. Sluban Educational Block Toy India offers theme based games for children across the globe. 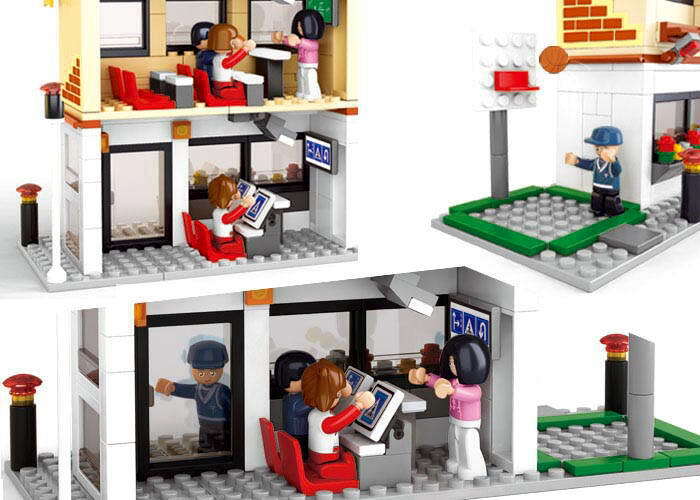 Its building block toys game set includes action themes from Army, SOS Rescue, Space and Aircraft to creative game themes like Girls Dream and Towns. Sluban Educational Block Toy India advantage lies in its compatibility with leading building block toys brand like Educational and others. The character toys offered with the games are designed to rotate their hands legs and head to give the character more realistic look. 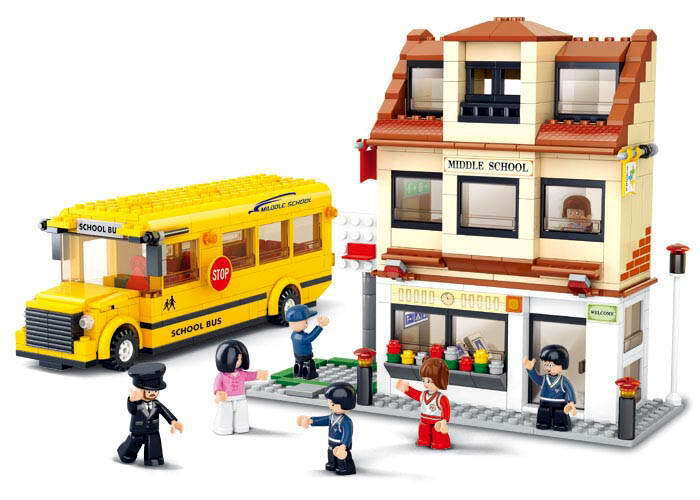 Sluban Educational Block Toy School Bus M38-B0333 set of toys presents to your child more vivid way of enjoying its real-life. 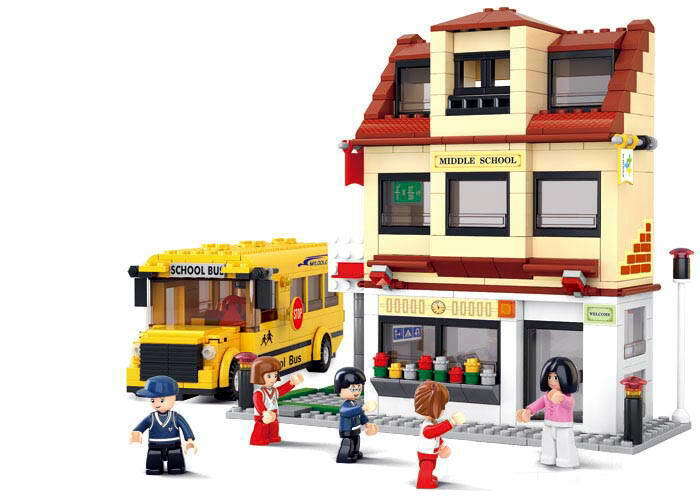 The school bus is part of town theme based games set which comprises of 496 pieces of building blocks. It comes with an assortment of seven toys character which gives children real-life experience of creating their fun-journey to school. The children get to recreate the complete school set up and the school bus which transports them to their schools. The Educational Block Toy comes with an easy to understand instruction manual. This picture best guide makes it easy for your child to assemble the toys this game set also helps the child to strengthen its cognitive and sociable skills.